This has to be the BEST photo I have spotted so far in 2018. Maybe it is because I think John Lennon was the best looking man that ever walked planet Earth---I don't know. 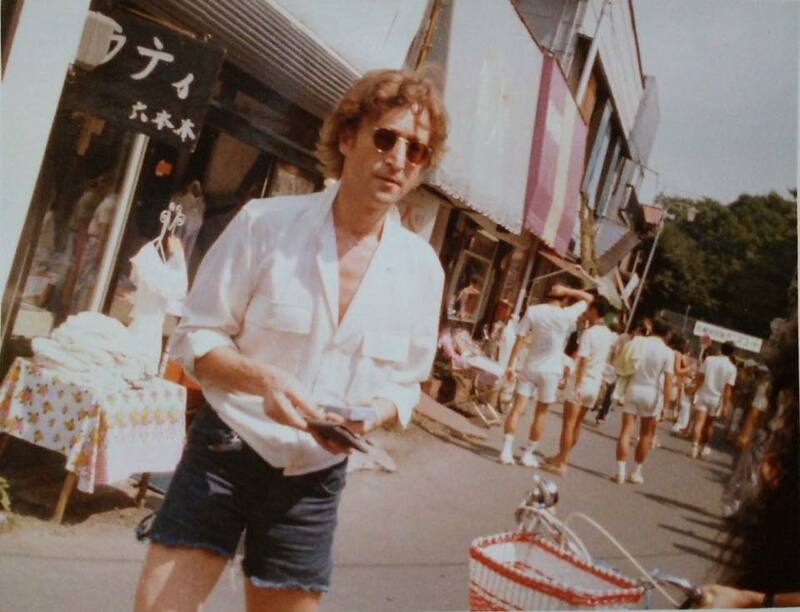 This photo of John (and Yoko on her bike) is from the Lennon's 1978 trip to Japan. It was posted by Guus in the John Lennon Dakota Days 1975-1980 Facebook group. Someone that knows Japanese said that in the background it says "tennis court" in the background. It does look like some tennis players walking on the sidewalk there. Oh yes this is one of the best of this era isnt it. John looks healthy not skinny! I felt the same way when I saw this photo yesterday morning... Like you, I think John was the best looking man that ever walked planet Earth. He was certainly one of them - that jawline.... a certain Mr G Harrison Esq can rival him though - those cheekbones! !